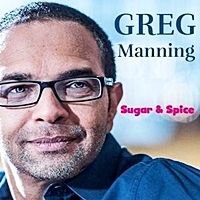 Greg Manning is a pianist with a delicate touch that is suited to the Smooth Jazz format. ‘Sugar And Spice’ lives up to its title as the CD is a Smooth Jazz delight, though its appeal will be primarily with lovers of the genre. Tunes like the dreamy ‘I Need To Know’ and ‘Caribbean Breeze’ with its summery feel typify the album’s strengths. But there is much to enjoy including smooth melodies like ‘When You Love Someone’ and the joyful vibe of ‘Esperanza’. Alongside Manning, saxophonist Donald Hayes stands out guesting on the smooth opener ‘Round N Round’ and the upbeat and subtle funk of ‘Happy’. Good set.